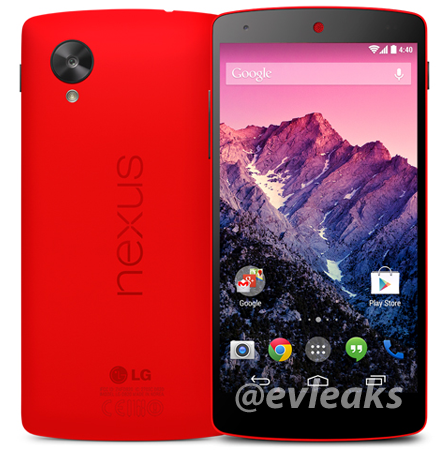 Red Nexus 5 could be real? Hello people since i heard the rumors of the new red Nexus 5 i decided to go check out Google play store and double check if they still had stock left for the Nexus 5. To my surprise both the black and white 16GB option is "out of inventory". This rarely happens that it hits out of inventory stage, it usually just says ships at a later date. 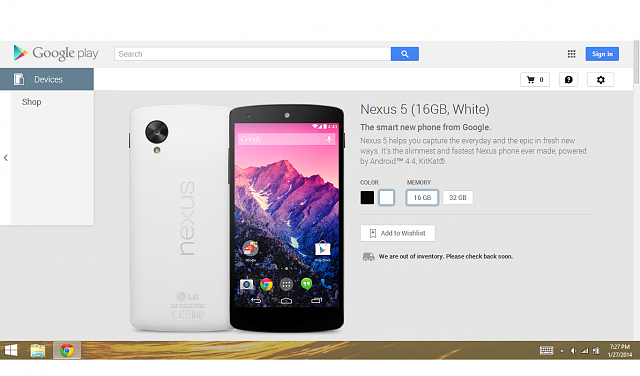 So do you think the Red Nexus 5 is fake or it is actually going to come out? I have looked everywhere but no where says it is official yet. Can you post links of where you found out it is official? The back of the phone is really red but where i love it the most is the speaker in the front it looks awesome with just red and the rest of the front of the phone black. I believe it's unofficially official. If that makes sense. There's a lot of online leaks of a finished product and packaging. I'm pretty sure Yellow was said to be a color. Though I have not seen pictures of that variant online. I wonder when it is going to release i want it. I can also see Valentines day as a good option but i don't think they would hold off on making money till valentines day. The nexus 5 in red is already packaged up and ready to ship so idk. 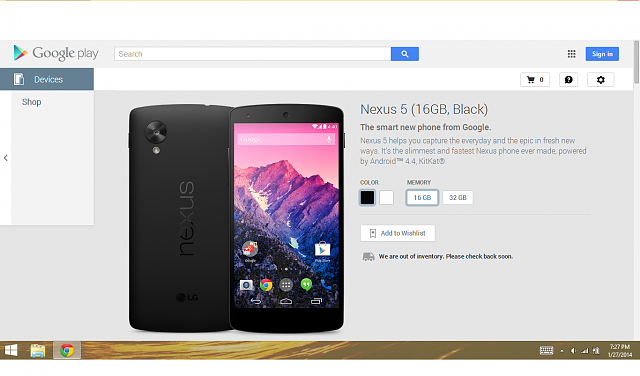 Well it is looking like the nexus 5 red is real and coming out on February 4. Does anyone know what time it is hitting play store and if anyone here is going to buy one? Doesn't look that good to me. Eh. It was only designed for people who like the color red. Yes this is true, in my case i love the color red so i am going to buy it when it comes out. I prefer black. If I was going to get a colored Nexus 5, orange or green would be my preference. Is it possible to get a warranty replacement without it being bought directly from Virgin?